Choosing a new front door should be an enjoyable process. 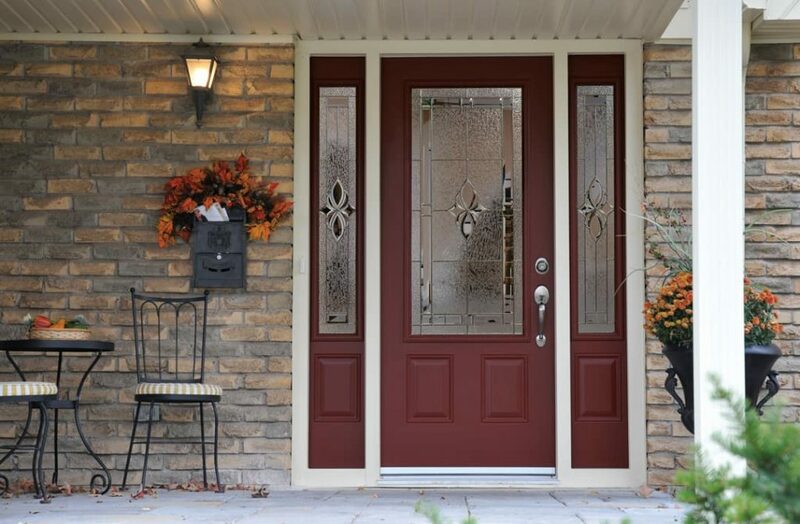 There’s nothing quite like updating the look of your home with a new entry door. Plus, think about all the energy you’ll save! When looking for a new front door, there’s a few things you’ll want to consider. 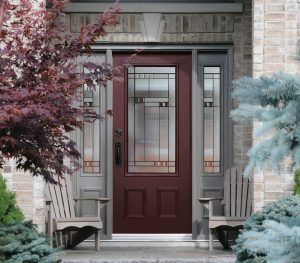 Not all front doors are created equal, and you’ll want to choose the one that’s right for you. For example, the location of the door will help you determine the material to use, and cost may also be a factor that will drive your decision. The technological advancements in doors has made them much more durable than the doors of decades past, which makes choosing a new door so much easier when you know the product won’t fail you. There are still a few things you’ll want to take into consideration when looking at doors, to make sure you get the right one for your home. The door is located at the front of the house right? Of course! What we’re talking about here is more about the surrounding environment. Is the door protected by an overhang? For example is there a porch protecting it? Is there a giant tree that blocks the sun? Or does the door directly face the elements? If your door is going to get hammered by sun, rain and snow year round, you may want to choose a door that will hold up to the elements better. Contrarily, if it’s mostly protected, you can be more flexible here. You may love french doors, but do they match the aesthetic of your home? What about a grand wooden door – does it fit with your modern look? The good news about working with a custom door manufacturer like Euroclad, is that there is very little we can’t accomplish. We can make almost any entryway work with the look of your home. This is where you’ll want to stop by our show room to talk to our experts to see what’s possible. The cost will depend on a lot of factors. Are you looking for a whole new entry way with sidelights and framing? Or are you just look for a door to fit your existing frame? There are many options when it comes to entry doors, so your best estimate will come from contacting us to discuss exactly what will work best within your budget. There are three main materials that doors are manufactured with. Each one has unique characteristics that you’ll want consider based on the factors discussed above. Steel doors are usually two pieces of metal with a foam core in the middle. They’re extremely strong and durable, and are usually some of the most inexpensive doors available. Most steel doors won’t have the same level of detail that you can get from wood or fibreglass. Metal also tends to get really hot when it’s directly in sunlight, which can lead to the finish deteriorating a little quicker and may require more upkeep. Wood entry doors are some of the most beautiful doors you can buy. If you’re considering wood, you’ll want to consider the location first. Wood doors require some maintenance, and if they’re constantly directly exposed to the elements, the maintenance will increase. The main quality to look for in a wood door is thickness. Cheap wood doors will be thin and deteriorate quickly. A quality wood door will be thicker and last longer. If you want the look of wood without the hassle, a fibreglass door is the way to go. They’re tough and almost completely maintenance free. These benefits come with a cost though. Fibreglass doors can be a little more expensive than their steel counterparts, but they won’t dent or scratch. Whatever door you’re thinking about choosing, it’s best to consider all your options to ensure that you’re getting the door that works best for you. With so many great choices, feel free to drop in and let our experts walk you through your options.